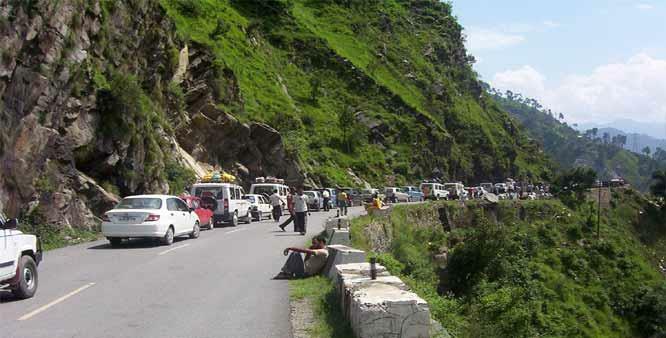 Srinagar: One-way traffic will continue on Kashmir highway Tuesday from Srinagar to Jammu, officials said. The official said that no vehicle will be allowed to move from the opposite direction. For the last three days the highway has remained open for one-way traffic. The highway remained blocked persistently for last few days due to landslides at Banihal, Ramban, Panthal, Battery Chashma, Gagroo, Anokhi Falls and some other places.